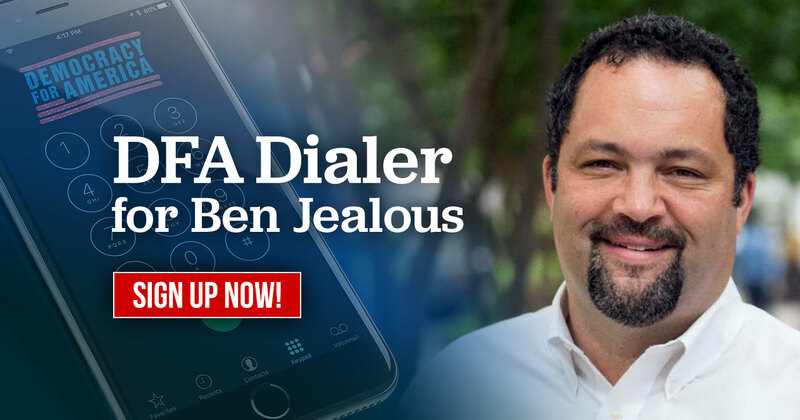 SIGN UP NOW to join us on the DFA Dialer for shifts to Get Out The Vote for Ben Jealous in this crucial Governor's race. The voters you'll talk to could be the margin of victory in this pivotal election -- a must win in our work to take back control of our country. We'll give you everything you need to get started talking to voters in Maryland -- the latest polling and breaking news, plus all of the information and tools you'll need to make these urgent calls. All you need is your phone and a computer (or tablet / iPad / Kindle tablet) with internet access.